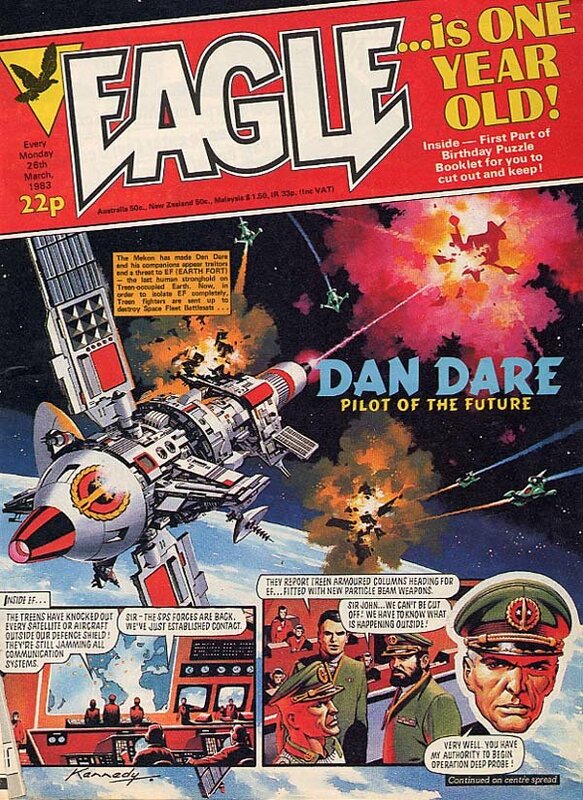 Rare and incredibly beautiful fully painted Ian Kennedy cover from EAGLE weekly, issue 53, 26 March 1983. 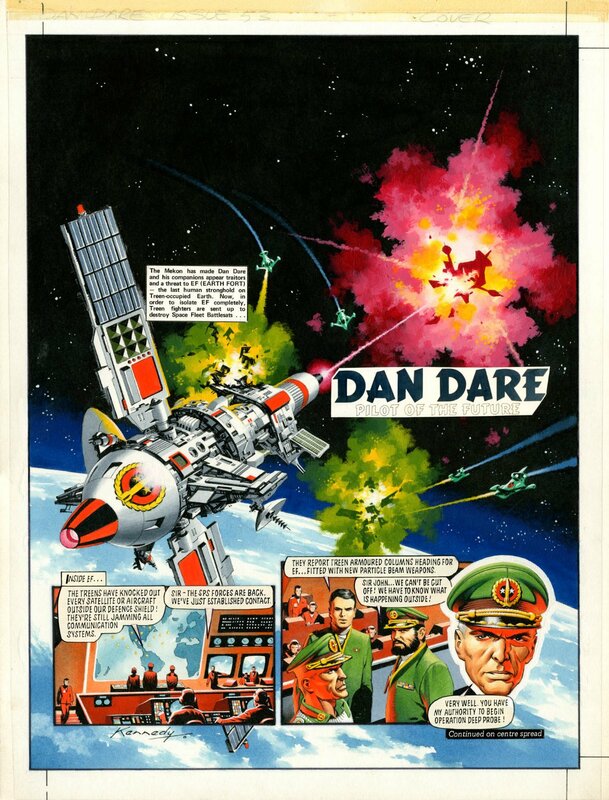 Ian Kennedy is one of the giants of British Comics art. Art is on heavy art board, in very fine condition, title and lettering on overlay. 38 X 50 cm.